Lady And The Tramp. lady and the tramp. 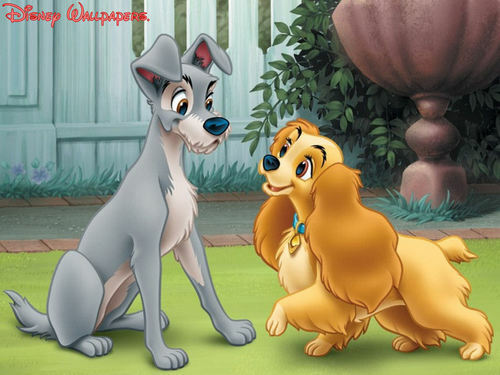 HD Wallpaper and background images in the Classic Disney club tagged: lady tramp disney classic film wallpaper. This Classic Disney wallpaper might contain lippizan, lipizzan, and lippizaner. My favourite Disney's DOGS. They so cute ! Thanks Slyvie,I think so too !